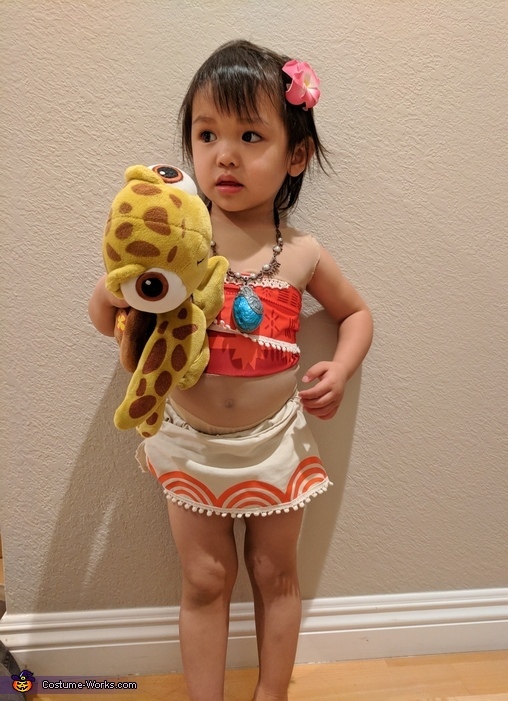 a week before Halloween, my daughter asked to be "baby" Moana. My husband agreed w/ the costume as long as she was not completely naked. If you've ever seen the movie, you'll know that baby Moana only wears a diaper. accessories: my daughter already had the singing Moana necklace from the Disney store; we borrowed a pink plumeria hair clip, and she wore her moccasins for photos.